Queen Victoria Place Restaurant is located on the upper level of historic Queen Victoria Place. 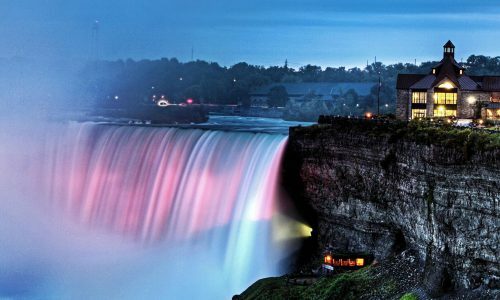 It offers a spectacular panoramic view of both the American and Horseshoe Falls. 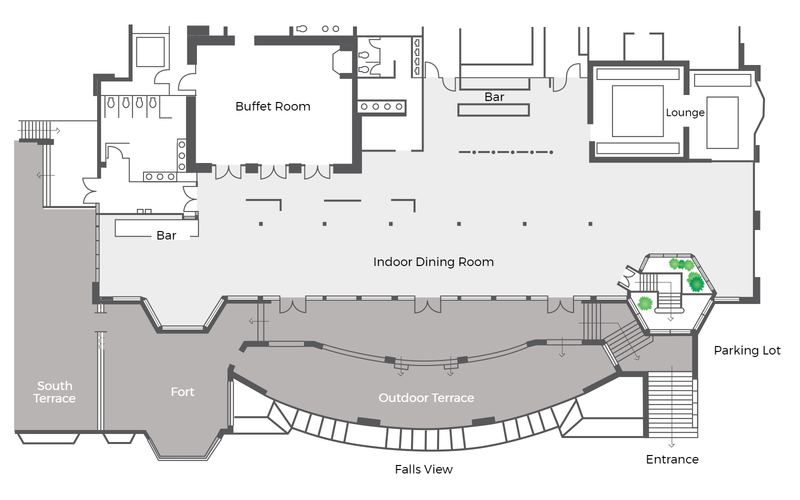 Dine indoors or on the expansive covered terrace. 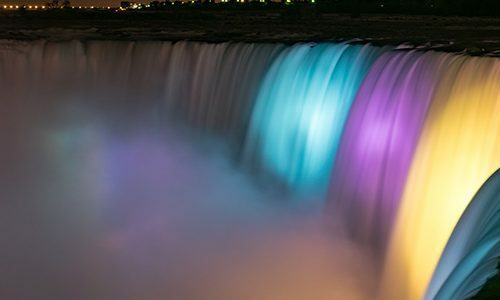 Summer nights sizzle on the Queen Victoria Place Restaurant terrace as attendees enjoy the Falls illuminations and amazing fireworks. 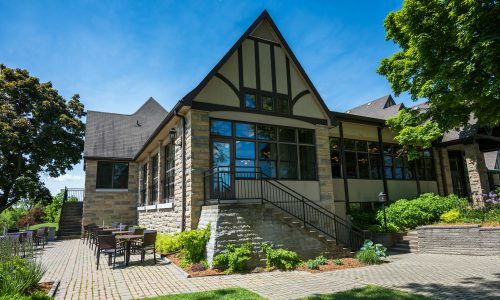 This stately building was known as the Refectory when built in 1904. 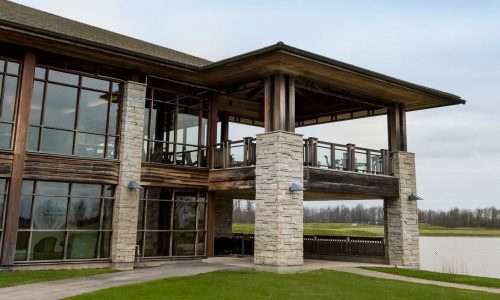 Modeled after a Swiss chalet, with a distinctive copper roof, boulder stones that had lain under the rushing Niagara River for 12,000 years were salvaged for the walls of the building. In the early days the building featured an open picnic area and in 1921 even a popular dance hall was opened. 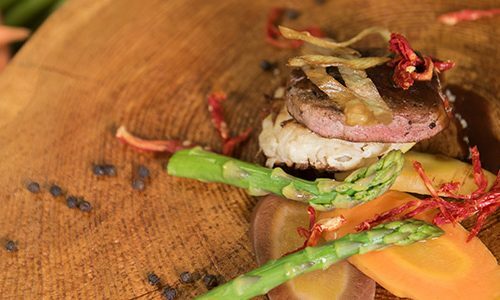 Queen Victoria Place Restaurant is committed to supporting the many growers, producers and craftspeople that make up Ontario's strong food and agriculture sectors. 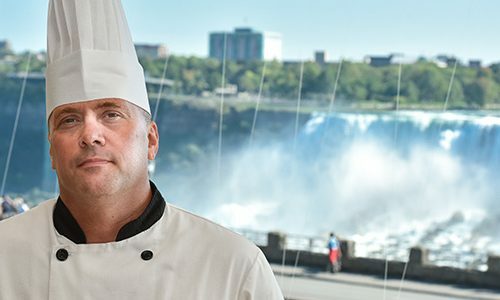 Enjoy locally-sourced menu items along with Ontario craft beers and Niagara VQA wines.